In continuation of the presentation of the different steps of the manufacturing and assembly of the circuit boards, I would like to present today the drilling and routing phases. These last two are as important as the different phases we have seen before on our blog. Let’s have a look at these different methods and see what they are used for. This step the printed circuit board’s manufacturing process consists in drilling the points where the electronic components must be set up before they are welded. These points are located on the slopes of copper representing the layout of the artwork (transparent mask on which are printed the tracks). Generally CNC machines are used, the drilling file enables the CNC machine to describe the location and the size of each of the drilled holes. The hole diameter depends on the size of the legs of the components. The routing process is an essential step, which is performed after the component placement (see our article “Surface mount devices: the pick-and-place machines”) to ensure the optimal functioning of the circuit board. This process can be defined as an operation which consists in defining the interconnections between elements of a circuit in terms of its topology. Routing can be done manually or automatically. 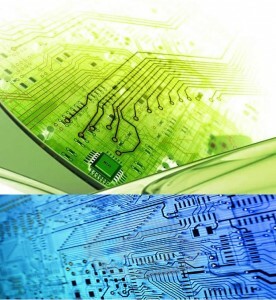 Industrial manufacturing of printed circuits realize the routing mostly automatically using advanced software. It enables the creation of circuit boards in series. A schema will be implemented on a software that will subsequently perform routing. There are companies that are specialized in routing printed circuit boards; they create files containing specific routing circuit. Then the circuit will be tested to ensure its fully operation. Do not hesitate to consult our offers available in our online catalog exapro.fr. 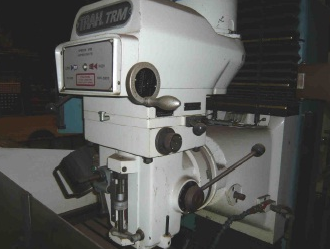 You can also publish your used drilling and routing machines easily and for free on exapro.com.